Rap music is often seen as a Black secular response to pressing issues of our time. Yet, like spirituals, the blues, and gospel music, rap has deep connections to African American religious traditions. 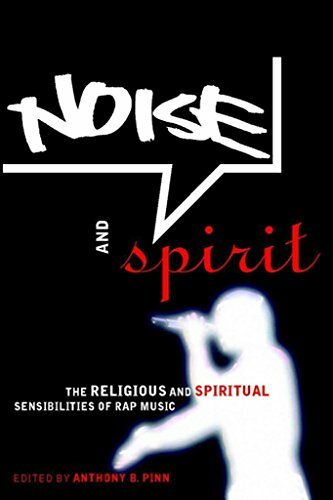 'Noise and Spirit' explores the diverse religious dimensions of rap stemming from Islam (including the Nation of Islam and Five Percent Nation), Rastafarianism, and Humanism, as well as Christianity. The volume examines rap's dialogue with religious traditions, from the ways in which Islamic rap music is used as a method of religious and political instruction to the uses of both the blues and Black women's rap for considering the distinction between God and the Devil. The first section explores rap's association with more easily recognizable religious traditions and communities such as Christianity and Islam. The next presents discussions of rap and important spiritual considerations, including on the topic of death. The final unit wrestles with ways to theologize about the relationship between the sacred and the profane in rap.